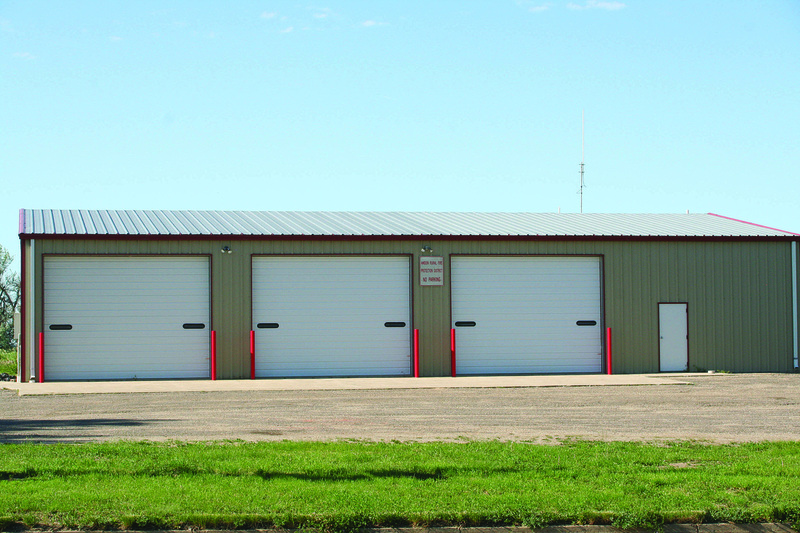 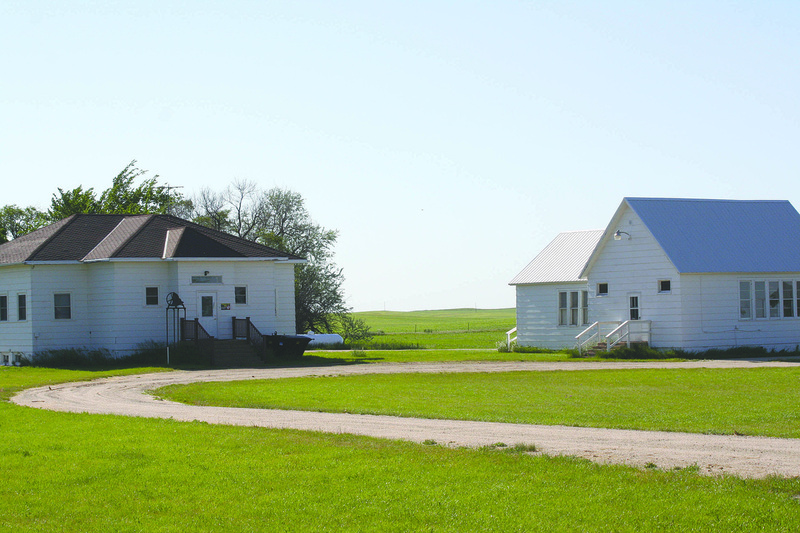 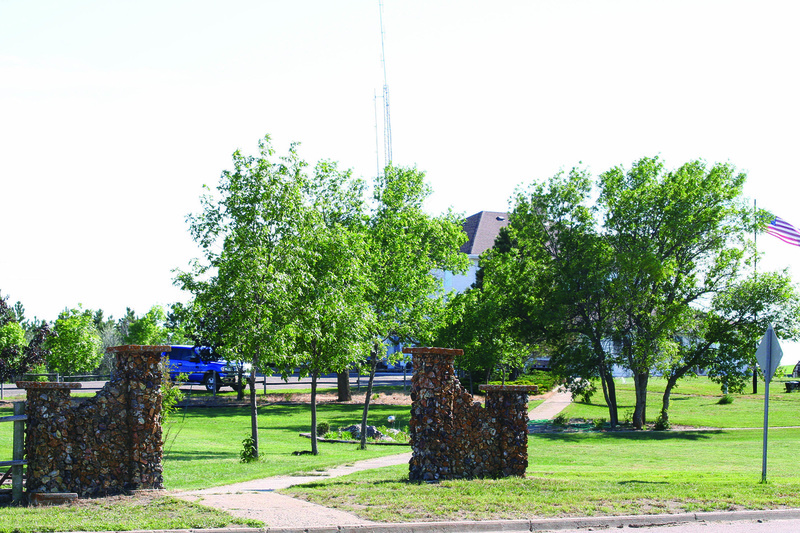 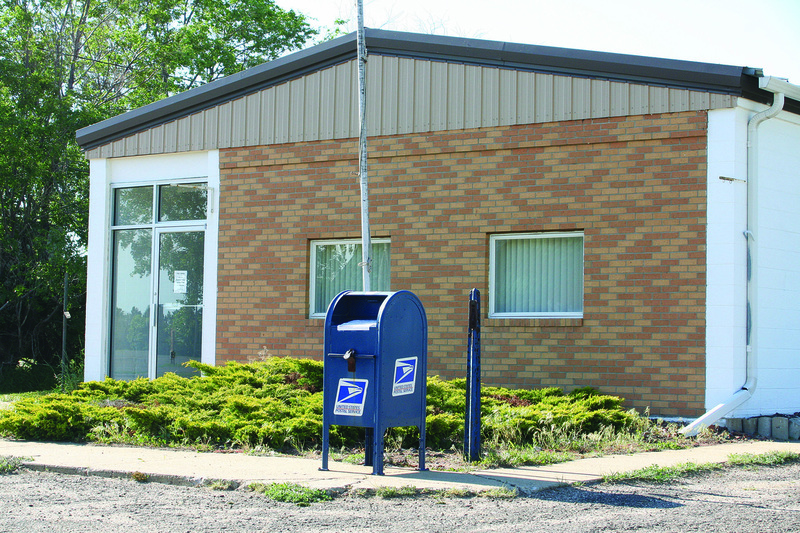 Photo Gallery - Welcome to Amidon, North Dakota! 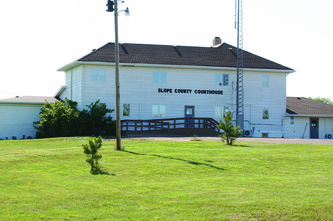 The historic Slope County Courthouse, dismantled in October 2014 to make way for the new building, was once the nation's smallest county seat. 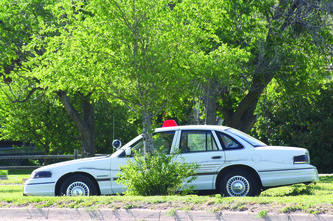 This police car, with a uniformed dummy at the wheel, has become quite famous over the years for catching drivers off-guard as they enter town. 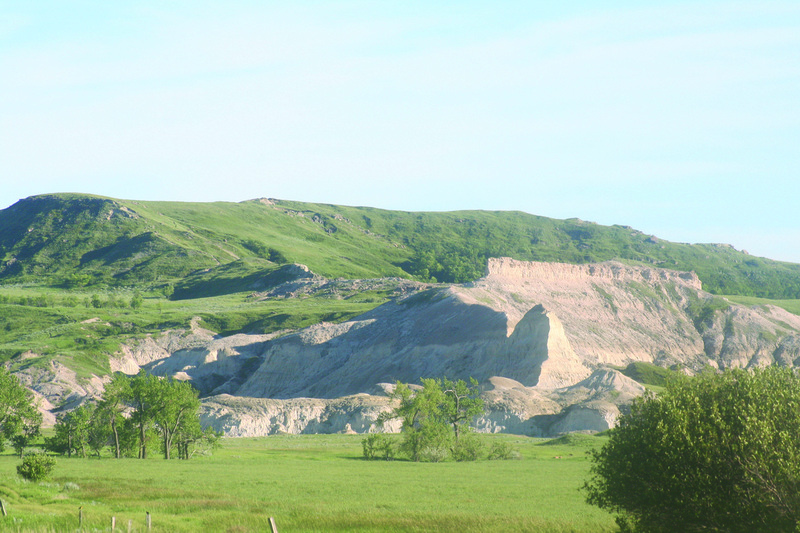 White Butte, the highest point in North Dakota, is only a handful of miles from Amidon. 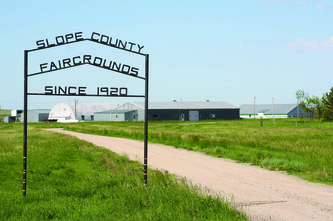 The Little Missouri Grazing Association is located on the east side of town. 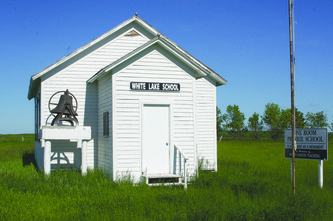 This one-room schoolhouse, formerly the White Lake School, is now a museum at the Slope County Fairgrounds. 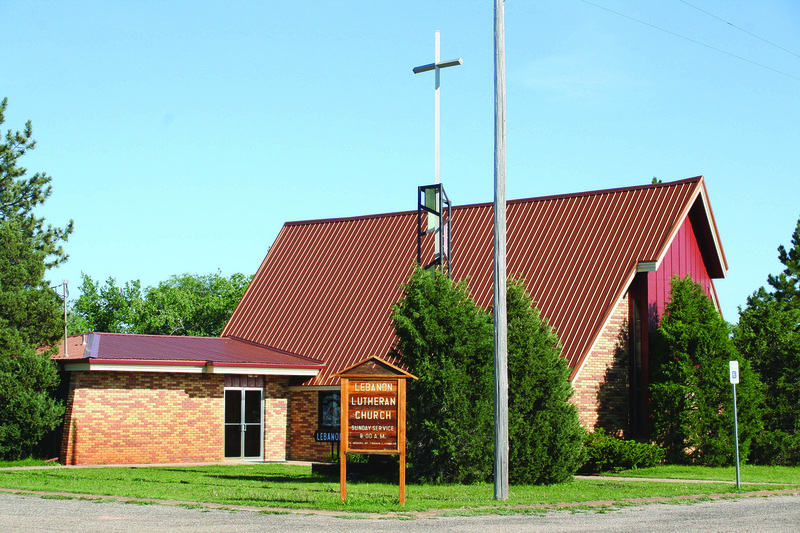 The Lebanon Lutheran Church (ELCA) has regular worship services on Sundays and welcomes all visitors. 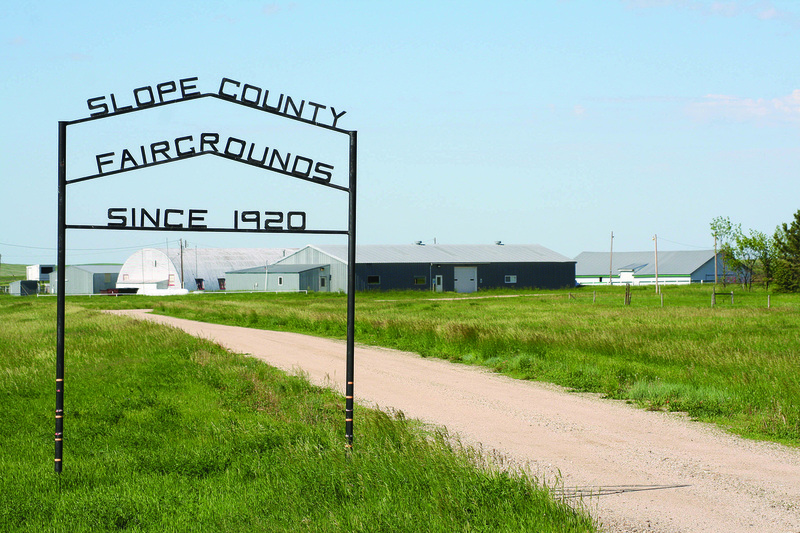 The Slope County Fairgrounds on the north side of Amidon hosts the annual fair in August. 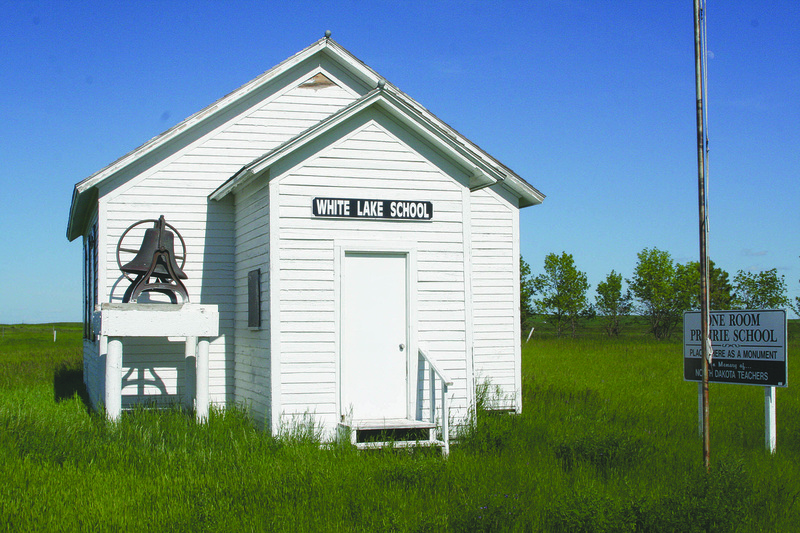 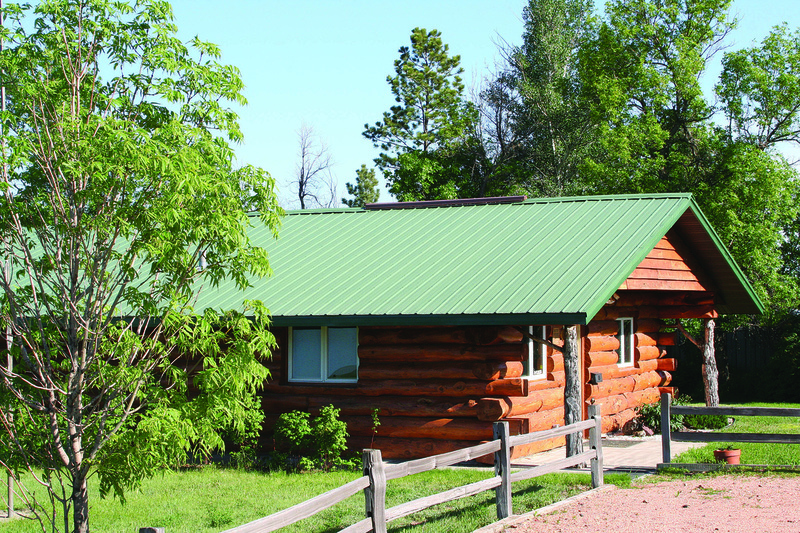 Students are still taught at the Amidon country school from kindergarten to 8th grade. 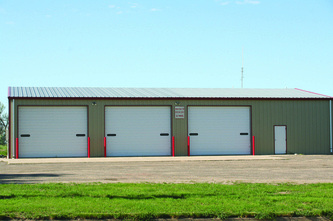 The Amidon Fire Station is run by volunteers. 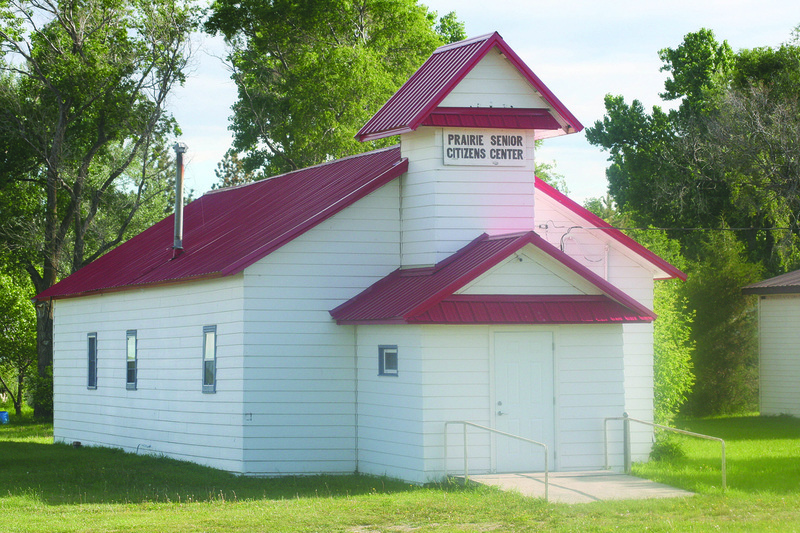 The Prairie Senior Center also serves as a food pantry. 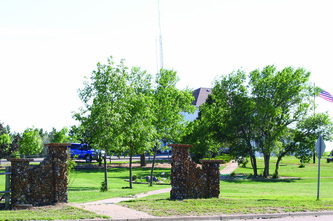 Stone pillars mark the entrance to a picturesque walkway in the center of town.